Hyderabad is the capital of Telangana state. It is a historic city, reminiscent of the great days of the Indo-Muslim culture. Situated at 536 meters above the sea level, the beautiful city lies on the Southern bank of the river Musi. Royal, rustic, romantic and vibrant are a few words to describe the city of Nawabs. It is also known as the city of love, in honour of Mohammad Quli Qutub Shah who founded the city for his beloved Bhagmathi and named the city Bhagyanagar after her. He later changed it to Hyderabad after Bhagmathi was given the title, ‘Hyder Mahal’. Hyderabad is well known for its Nawabi hospitality and a visitor to the city finds a pleasant welcome and a relaxing stay. Please refer to our Visa Information page. Located 22 km south of downtown Hyderabad, Rajiv Gandhi International Airport is the sixth busiest airport in India. The airport is named after former Prime Minister of India, Rajiv Gandhi. 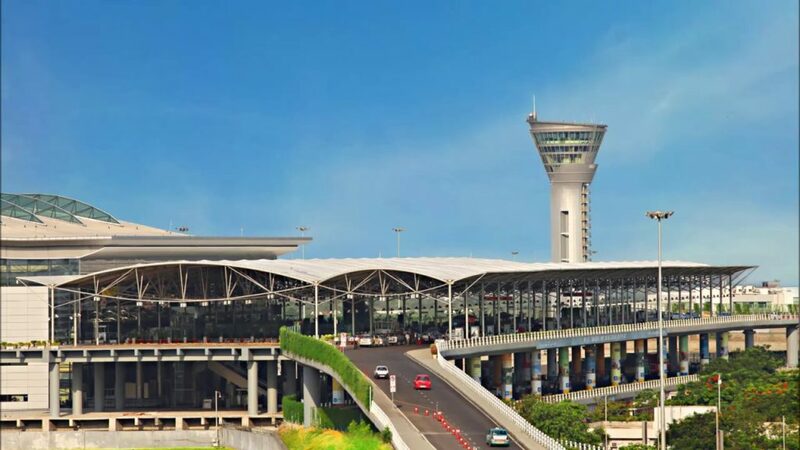 It replaced the former international airport of the city, Begumpet Airport. The airport was constructed in 2008 and currently handles more than 7.6 million passengers annually. RGIA has been rated the No. 1 airport in the world (in the 5-15 million passenger category). International flights that directly connect to Hyderabad arrive at the International terminal where the delegates go through the necessary Immigration and Customs formalities. Hyderabad is also well connected to major metro cities throughout India by domestic airlines. Hyderabad has direct international connectivity to Europe (London), Middle East and South East Asia. One can reach Hyderabad either with a direct connection from any of the major hubs connecting Hyderabad or via New Delhi, Mumbai Chennai or Kolkata. Getting from the airport to city center is easy with the Airport Shuttle. Alternatively you can book a taxi, Uber or Ola cars. More information in the section Getting Around below. Hyderabad is connected to all major cities of India by rail. Please check the official website for the Indian Railway. There is also good road connectivity; please check the Red Bus webpage for more information. For more information please refer to the pages for Health Advice of Hyderabad Rajiv Gandhi International Airport. You will be able to find ATMs in a lot of places in Hyderbad, but the safest and best option for manual exchange will be the Currency Exchange at the reception of the Hyatt (for residents) or in a bank (for others). There are thousands of Uber and Ola drivers in Hyderabad and fares are very fair indeed (often cheaper than those quoted by autorickshaw drivers). A 3km ride will be around ₹80 to ₹100. Few travellers bother with local buses (₹6 to ₹25 for most rides) but there are some useful routes. Try www.hyderabadbusroutes.com (although it can be inaccurate). Closest bus stop to the main venue is L V Prasad Eye Institute. You will be able to see accurate locations on Google map. Expect to pay ₹30 to ₹50 for a short ride, and around ₹120 for 4km. Few drivers use meters. Hyderabad has a lot to offer its visitors. The beauty of the city and the music of its life, the smell, the aroma of the ‘Spice of India’ and of its traditions simply leave you spellbound. Here is a quick list provided by the Hyderabad Convention Bureau. Banjara Hills is an urban commercial centre in Hyderabad, Telangana, India. This is an upmarket locality. This area was a hilly forest and was sparsely populated in the past. Only a few members of the Nizam’s dynasty lived and hunted here. Even with its history and status, this area has completely transformed to an urban commercial centre of importance. Banjara Hills is segregated by its road numbers: the numbers run from 1 through to 14. 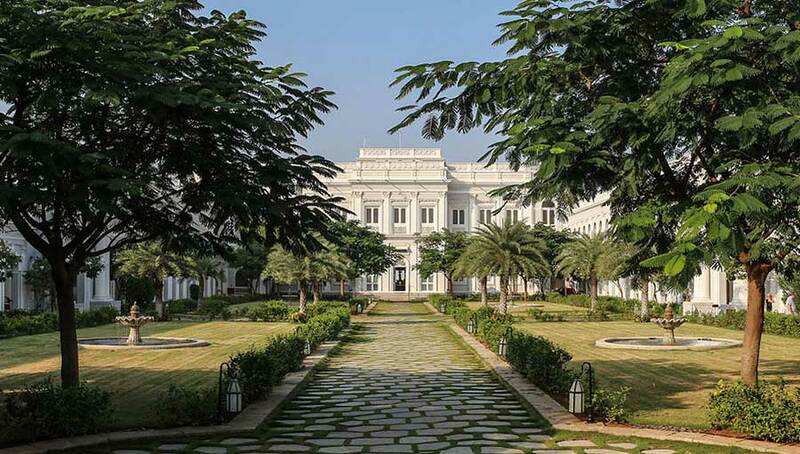 The Falaknuma is a palace in Hyderabad, Telangana, India. It belonged to the Paigah family, and it was later owned by the Nizam of Hyderabad. It is on a 32-acre (13 ha) area in Falaknuma, 5 km from Charminar. It was built by Nawab Vikar-ul-Umra, prime minister of Hyderabad and the uncle and brother-in-law of the Nizam VI, Nawab Mir Mahboob Ali Khan Bahadur. Falak-numa means “Like the Sky” or “Mirror of the Sky” in Urdu. Chowmahalla Palace or Chowmahallatuu (4 Palaces), is a palace of the Nizams of Hyderabad state. It was the seat of the Asaf Jahi dynasty and was the official residence of the Nizams of Hyderabad while they ruled their state. The palace was built by Nizam Salabat Jung. The palace remains the property of Barkat Ali Khan Mukarram Jah, heir of the Nizams. In Urdu, Hindi Char means four, and even in Persian, Chahar means four and in Urdu and Hindi Mahal means palaces, hence the name Chowmahalla/four palaces. The palace is located in the old city in Hyderabad near the Charminar. All ceremonial functions including the accession of the Nizams and receptions for the Governor-General were held at this palace. The prestigious UNESCO Asia Pacific Merit award for cultural heritage conservation was presented to Chowmahalla Palace on 15 March 2010. UNESCO representative Takahiko Makino formally handed over the plaque and certificate to Princess Esra, former wife and GPA holder of Prince Mukarram Jah Bahadur. Salar Jung Museum, named after Nawab Salar Jung III of Hyderabad, is a home to one of the largest and most precious private collections of the Nawab. Declared as an Institution of National Importance by the Indian Parliament, there are fascinating and beautiful art collections from different parts of the world. Indian art, Ivory craftsmanship from China, European sculpture, paintings and pottery dating back to 1st century AD makes this museum a storehouse of knowledge! Do not leave without having looked at Veiled Rebecca by Italian neoclassical sculptor, Giovanni Maria Benzoni. Hussain Sagar Lake, built by Hazrat Hussain Shah Wahi in 1562, is a picturesque water body that lies between the twin cities of Hyderabad and Secunderabad. The huge statue of Lord Buddha situated at the middle of the lake is a tourist attraction. 16 meters tall and 350 ton white granite statue of Buddha rests on Gibraltar Rock. Lumbini Park by the lake is a great place to spend the evening along with family. Another remarkable feature about this place is the Laser light show. An excellent way to project and narrate the history of Hyderabad using water screen! A stroll down the necklace road after the show makes a perfect evening.